It’s often the simple things in life that spurn a person. A single human life can mean so much to one person and sometimes we can only get that view in retrospect, unfortunately. Agi and Okimoto’s Drops of God is trying to remind us of those little things, and those singular lives, that can change our own by so much. Shizuku Kanzaki is a man who was put through taste and smell training by his wine connoisseur father, Yutaka, since he was young. As a result, Shizuku kind of spurned wine until his father’s death at the beginning of the first volume. Shizuku works at a beer company, Taiyo Beer, in Japan. At the beginning of the story, he’s quickly transferred to the newly created wine division, where he remains as of chapter 227 (the latest English language chapter published by Vertical). His rival in the comic, Issei Tomine, is a wine reviewer and considered a genius and sort of the “next Yutaka Kanzaki.” The elder Kanzaki set up a competition to find and identify the “12 Apostles” and “The Drops of God,” which are 13 of the best wines personally selected by Yutaka before his death. Vertical took a bit of a risk on this comic and the author requested it be published in a bit of a strange manner as a result. The first four volumes actually compile the first eight of the original Japanese volumes (two in each English volume). But the fifth and final English volume skips from chapter 77 to chapter 210, ending with chapter 227. This fifth volume isn’t given a number, just the label “New World” (to go with the story in the book, which seeks out New World wines). It also skips from the Second Apostle in the fourth volume to the Seventh Apostle in the New World volume. What makes this book so remarkable is how much it invests me in wine and the culture surrounding wine when I am not even a heavy drinker. I know more about decanting, terroir, and tannin than I care to admit for someone who’s maybe had four different kinds of wine. But these characters, Shizuku especially, are so genuine that you can’t help but root for them. It’s almost like watching a child grow, because of how naïve Shizuku was about wine at the beginning compared to where he is now. He could point out flavors, textures, and the minutest things about wine, but he couldn’t tell you the difference between an East Bank and a West Bank wine—a relatively simple task for a novice sommelier. Watching Shizuku change the lives around him through wine is amazing. In one story, he brings back the memories of an amnesiac. In another, he brings a restaurant back to its former glory. This manga may be about the Apostles and the Drops of God, but the interim stories are what affect me the most. I loved watching Shizuku seek out wine not just for his own goals, but to help others. As I said, he’s spreading the simplicity of enjoying wine and the complexity that comes with enjoying it. Further, with the amnesia story, it harkens back to the fact that smell and taste are linked so closely with memory. The amnesiac loved a particular bottle of wine, a Burgundy, but her now-husband only had her drinking Bordeaux. It’s like an awakening for her to drink the Burgundy, since that was linked to the memory of her fiancée before she got amnesia. It’s stories like this that make me remember why I like stories so much, just because it’s so genuine and transparent. It’s wearing its themes on its sleeve and you can’t help but smile a little at it. 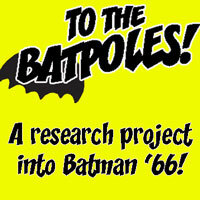 That’s what the whole comic has been thus far and it’s simply enjoyable. I honestly don’t know what captivates me so about Drops of God or what made me want to write about it so much. It really is like watching baby’s first steps as we watch Shizuku on his journey through wine. It helps that the artwork is great. The character designs can sometimes feel similar, but it’s never too confusing. The most impressive part is when they describe wine and create this perfect picture of the liquid that streams down their throat. A vast forest, a lonely pond, a desert pyramid, a myriad of people, and many more things are depicted throughout this comic to communicate how the wine tastes. It’s so abstract, I can almost taste it on my own palate. As I said, Vertical took a risk on this one and it didn’t exactly work out for them. No more volumes are going to be published, to my knowledge, and once these volumes go out of print, that’s going to be it for Drops of God in the US. For now, they’re readily available on both Amazon and Right Stuf for about $12 per volume. 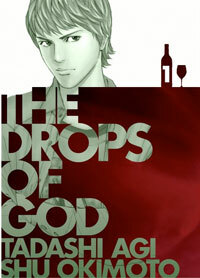 No user commented in " “Drops of God” to be savored "